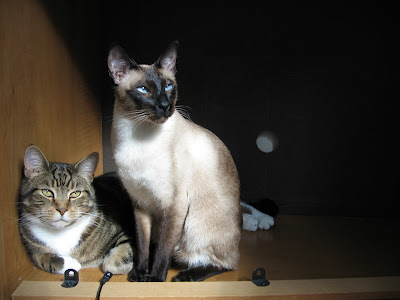 Meezers - Siamese and Oriental Cat Chat Club: SOCCC Cats! 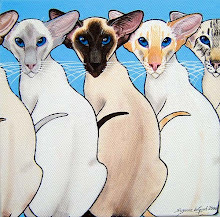 If you would like to join our Siamese and Oriental Cat Chat Club (SOCCC), you are all very welcome and we would be honored to have you! Look its me!! I feel so honored to be featured :). You are always having the most amazing pictures here!!! You are all so cute!!!! I'm glad you like the photos - I wish I could take credit for them, but they were taken by our talented members! 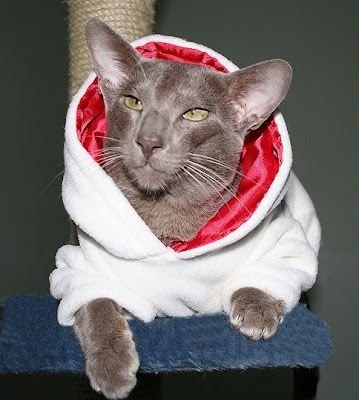 Yao-Lin - the cat in the hoody is Baggy's daddy, Muddy! Hey, I see Latte and Chase! We would love to join! Tara and Kavan - we would be honoured to have you! 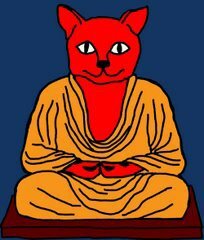 This blog is a way for us to try and reach out to other Siamese and Oriental bloggers out there. 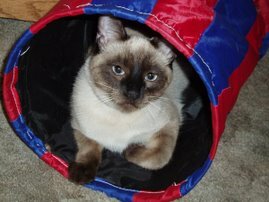 We have our own Siamese and Oriental cat chat online site and we are always looking for new members to join us. 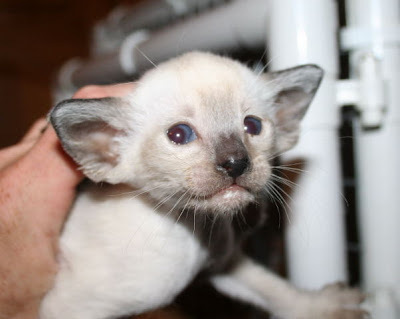 We are a friendly bunch of people who get together to chat about our Meezer cats. We like to share funny stories and photos and also talk about all sorts of other topics, such as health and diet, etc. We pride ourselves on being a very relaxed board where people from all over the world come to chat and form friendships. 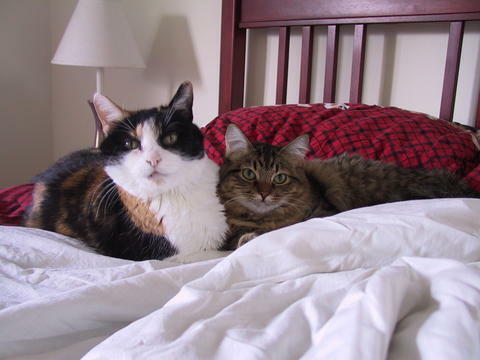 If you ever wanted to pop by to say hello, we would love to meet you and your fur family! You have to register first (registration is free), and then you are ready to start chatting. We really hope to see you there some time! Saikou Siamese and Orientals. 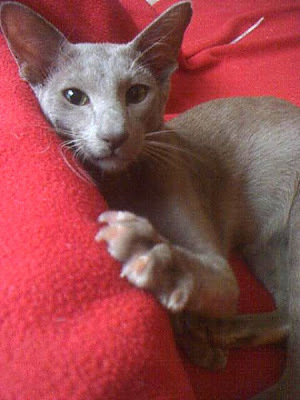 Excellent breeder of Siamese and Oriental kittens based in the UK and who bred my beautiful Black Oriental, Baggy. Storm - The Furry Fighter! 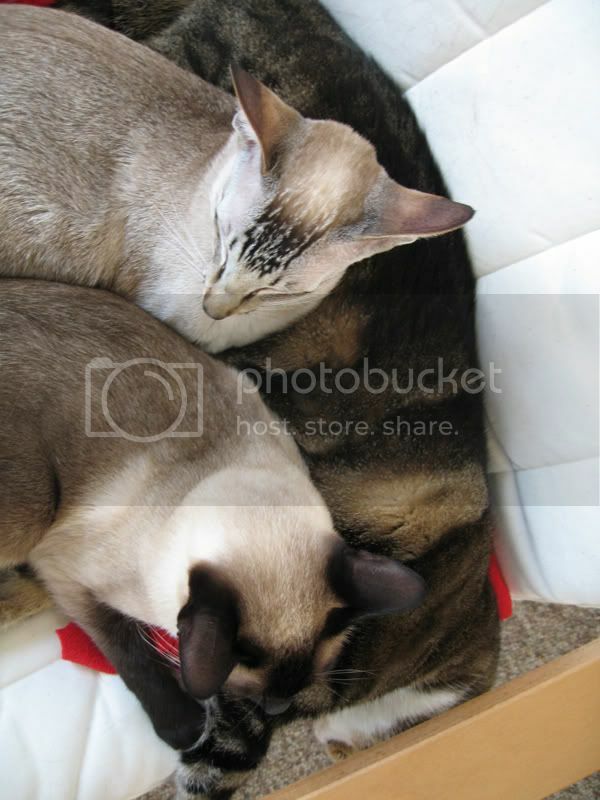 Gorgeous photos of Siamese and Oriental kittens! Fred's evil plan to take over the world!